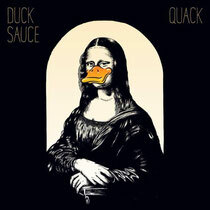 Hot off an album release week (#1 iTunes Electronic Album) bookended by two successful Coachella performances and rave Quack reviews, Duck Sauce continue their streak of alternative music videos with a clip for new single ‘NRG’. Director Dugan O'Neal and comedian Jon C. Daly (Kroll Show) take late-night infomercials to truly psychotic heights, with Armand Van Helden and A-Trak getting in on the bizarre action themselves. It's the ideal visual accompaniment to Duck Sauce's new album, stuffed full of even more earworm hooks, nice beats and unfiltered cosmic madness. Check the video out below.